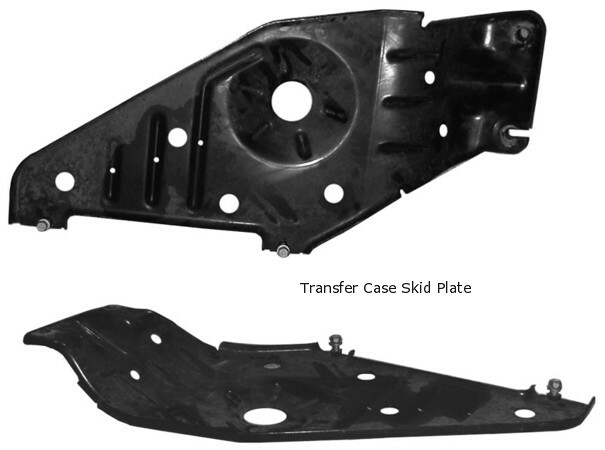 Skid Plates for the Jeep Grand Cherokee provide added protection when traveling off road. Made from heavy-gauge steel and painted with a high quality black powdercoat finish. Item # 82204489 - Transfer Case, includes plate and 4x M10x1.50x35 bolts w/washers (same as production). Item # 82208305 - Front Suspension, includes plate and 4x M10x1.50x40 mounting bolts. (same as production).